Ram Nation was collectively dumbstruck when this year’s preseason polls placed us near the bottom half of the Atlantic 10. 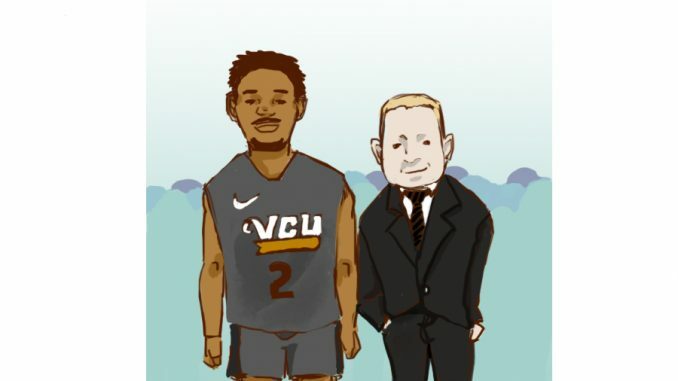 Last season, Men’s Basketball missed the NCAA Tournament for the first time since 2010 and failed to win at least 20 games, a feat VCU had accomplished every season since 2005-06. Despite the anticipated fallout, nobody thought expectations would be this low. The conference poll, chosen by a panel of the league’s head coaches and select media members, picked us to finish seventh. NBC Sports has us at eighth. A10Talk had the audacity to rank us NINTH. Alright, fine, we get it. We took a huge step back in coach Mike Rhoades’ first year at the helm on Broad Street. After finishing 9-9 in conference, good for eighth place, and bowing out in the quarterfinals of the A-10 Tournament, the skepticism surrounding the probability of a bounce-back campaign is understandable. But it grossly undersells the pedigree of this program. We’re not your average mid-major. We will get up off the mat, fists raised, guns blazing, with hellfire in our eyes. We’re gonna fight like crazy, damnit. Right, coach Rhoades? … what he said. Nobody is feeling sorry for us — frankly, it seems the rest of the A-10 is quite amused that we’ve finally been knocked off our 2011 Final Four high-horse. But we need to acknowledge what Rhoades is trying to impress on his players, that to qualify for the NCAA Tournament, we’ve got to earn it every day. We’ve got to fight like crazy. 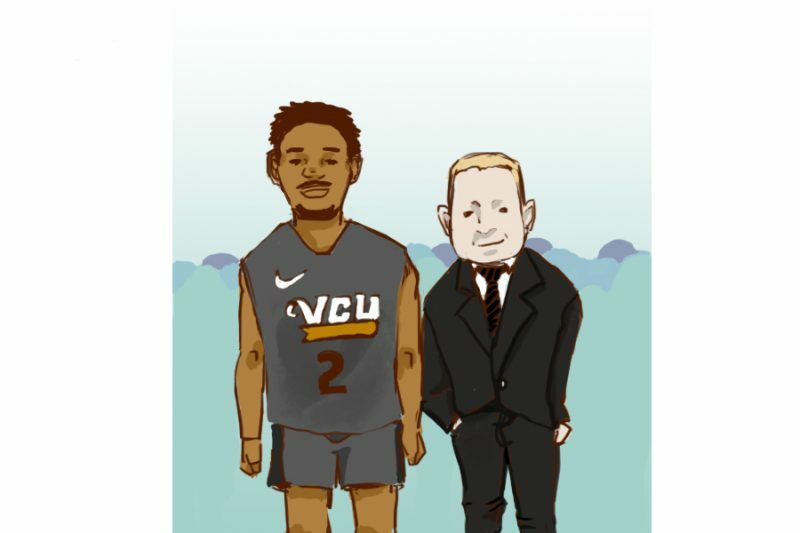 We don’t just put on a VCU shirt or jersey and two-step our way into the Big Dance. We can’t just yell “HAVOC” and chant “You don’t wanna go to war with the Rams” and produce the most electric environment in college basketball. We used to have a chip on our shoulder. Somewhere in those seven-straight NCAA Tournament appearances, we lost our tenacity and desperation among the shiny new buildings and banners. We started to take the success of this program for granted. We needed last season to make us remember who we are. The talent is there, we’ve just got to recapture our infamous attitude. Where are the Broad Street Bullies we know and love? The days of HAVOC are long gone, but that doesn’t mean we can’t still be a bunch of feisty MF-ers on the hardwood. Even those outside the program know this is the key to VCU’s hopes of returning to the promised land. “VCU has more questions than answers at this point, but when healthy, the 3 player core of Marcus Evans, De’Riante Jenkins, and Issac Vann could be the best in the league,” A10Talk’s Grant Labedz wrote in the website’s preseason rankings. Granted, redshirt-junior guard Marcus Evans needs to fully recover from his Achilles injury. He hasn’t started the first two games, but he played in both. When healthy, Evans — who averaged 20.1 points and 3.3 steals per game under Rhoades at Rice and was named to the All-Conference USA First Team his freshman and sophomore years — could be the best player in the A-10. Junior guard Jenkins needs to take on more scoring and leadership responsibility. Redshirt-junior wing Vann needs to stay healthy and consistently display the dynamic presence he flashed last year on both ends of the floor. Sophomore forward Sean Mobley has got to be the top-tier facilitator and jump shooter we all know he can be. Sophomore forward Marcus Santos-Silva had better be taking some names down low. It’d be really nice if redshirt-senior forward Michael Gilmore can finally realize his immense potential. These are all keys to VCU’s success this year. But they cannot culminate to lead us back to the promised land without one key ingredient — we’ve got to fight like crazy, a la Briante Weber in the opposing team’s backcourt.